It's not uncommon for seniors to struggle with sleep. Falling asleep early in the evenings and waking up super early in the morning are regular occurrences. While medical conditions can cause these issues, so too can changes in circadian rhythms, according to the National Sleep Foundation. "Spicy foods can keep seniors up through the night." Sometimes, what you eat and drink before bedtime can throw your body out of whack, resulting in trouble getting to sleep. A Place for Mom recommended avoiding heavy meals, particularly those with spicy ingredients, as well as exorbitant amounts of liquids such as alcohol, water or those with caffeine. These kinds of stimulants shouldn't be consumed fewer than three hours before a person's bedtime, as they can make it incredibly difficult to stay asleep without frequent stirring or having to get up to use the restroom. Physical activity is a good way to keep the body healthy, while also safely tiring a person out enough to have a good night's sleep, according to Caring.com. Not every senior is capable of the same level of exercise, so it's important for loved ones to be aware of and monitor their family member's abilities. Activities like walking, water aerobics, swimming, stretching and other easy-going exercise classes aren't too hard on senior's joints or body as a whole. Does your loved one's room tend to be hot or loud in his or her assisted living community? If so, that could be keeping seniors from falling asleep. According to the U.K.'s National Health Service, it's important to be aware of temperature, lighting and noise. All of these factors individually can wreak havoc on someone's sleep schedule and combining any of them can make bedtime even worse. The bedroom should be a place of relaxation and calm for family members. If it's not, certain changes will need to be made. 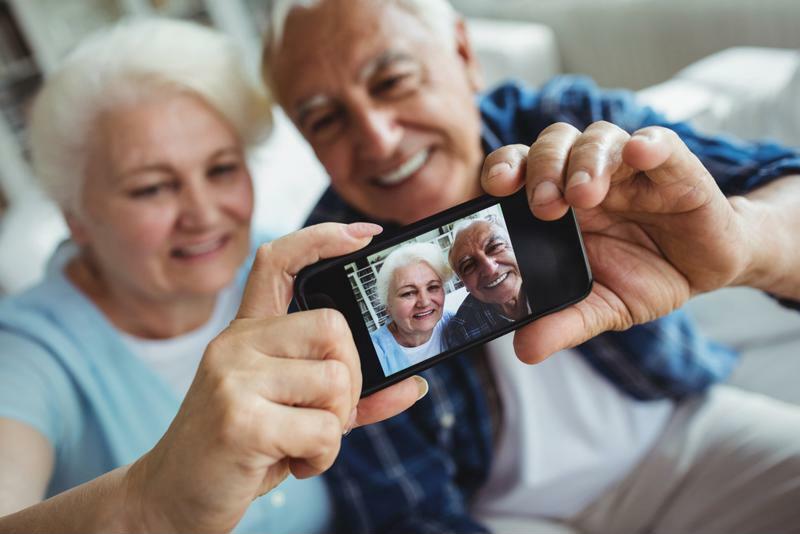 Today, around 77 percent of Americans own a smartphone, with people 50 years and older increasing their ownership in 2016, according to the Pew Research Center. Having mobile devices like tablets with us at all times exposes our eyes to blue light. While it's not especially noticeable during the day, this kind of light can be harmful when trying to fall asleep. The Guardian recommended keeping tablets and phones a good distance from one's face and reducing the brightness on these devices in the evenings. Some smartphones even have the capability to shift to yellow light after a certain time. Seniors should turn down the brightness on mobile devices in the evenings. Consistency is key when it comes to sleep. Setting a regular agenda when it comes to getting into bed and getting up in the morning can make a huge difference in a person's quality of sleep. It's critical to continue this schedule every day, even on weekends or days off, according to the Cleveland Clinic. It can be difficult to figure out what's keeping seniors from having a good night's sleep. To get to the bottom of the situation, medical professionals and sleep therapists may recommend that people keep a bedtime journal. This diary would break down when someone went to sleep, woke up in the morning, how long it takes to fall asleep and the frequency of middle-of-the-night wake-ups, according to U.S. News and World Report. Writing down other factors – like daily caffeine consumption or eating habits – may also help.